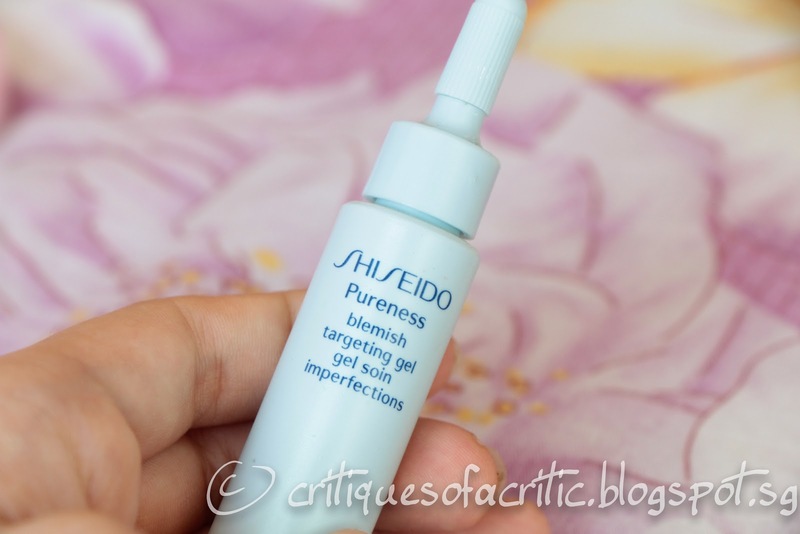 I’ll be reviewing Shiseido’s Pureness Blemish Targeting Gel today! I’m actually reaaaaally busy but not updating much is giving me guilt trips, so… *cough* I’ve decided to do an easy post as a filler. My aunt got this for me last Dec and I’ve been putting this off for the longest of times. Well, obviously I didn’t buy this myself cos no money :X She originally bought it for her daughter-in-law’s sister (we have a crazily huge extended family in Brunei) but gave it to me ‘cos she bought extra and she saw I had this bad case of acne on the left side of my forehead. She says it is usually 40-50 SGD in Brunei but when I went to google it it ranges from 28-36 SGD in Singapore/ on Amazon plus super expensive shipping fees. But that’s still quite a bit of money. I’ll tell you, she is super sweet to everyone! Whenever I visit Brunei she’ll take me shopping and insist on paying for everything. We fight to pay first at the cash register but I usually lose, because she is the lady boss of the main newspaper agency and almost everyone knows her ._. Everyone seems to know everyone else there ‘cos the population is only 300,000…. Which is like 20 times smaller than Singapore! Is my math right?? Okay fine this doesn’t really explain much but usually the cashiers accept the money from the elder. There was one time she tricked me into trying another piece of clothing and promptly paid for all the items I wanted! Super jian4 ! I think she spent at least 400 bucks on me last Dec hols. almost 200 bucks for a pair of Lee jeans my uncle got for her in Taiwan but she couldn’t fit into them, so she gave them to me. I wear them EVERYWHERE now. They are gorgeous… the gradient of shades, the fit, how the material hugs your legs… what can I say?? LOVELOVELOVE. Oh gosh I clean forgot about reviewing the product! I guess I’ll have to do it tomorrow cos I’m too busy. 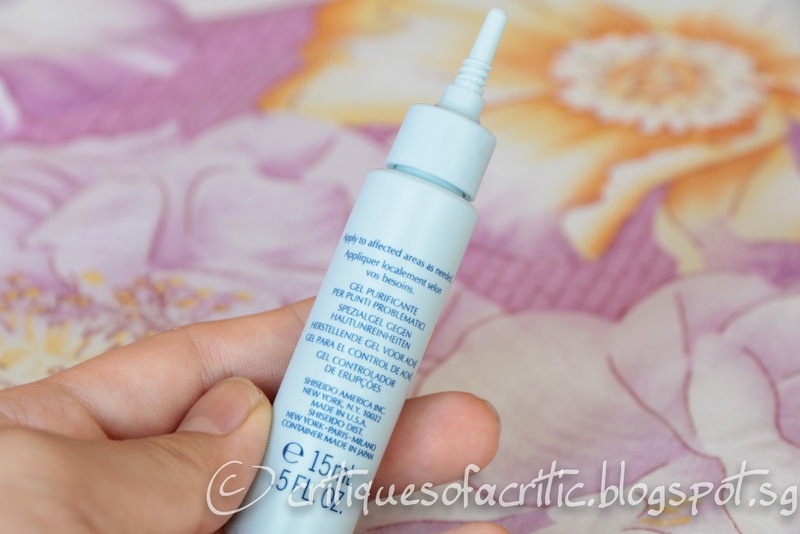 Okay, I use this rather sparingly (15ml only) and usually only for huge patches of acne. 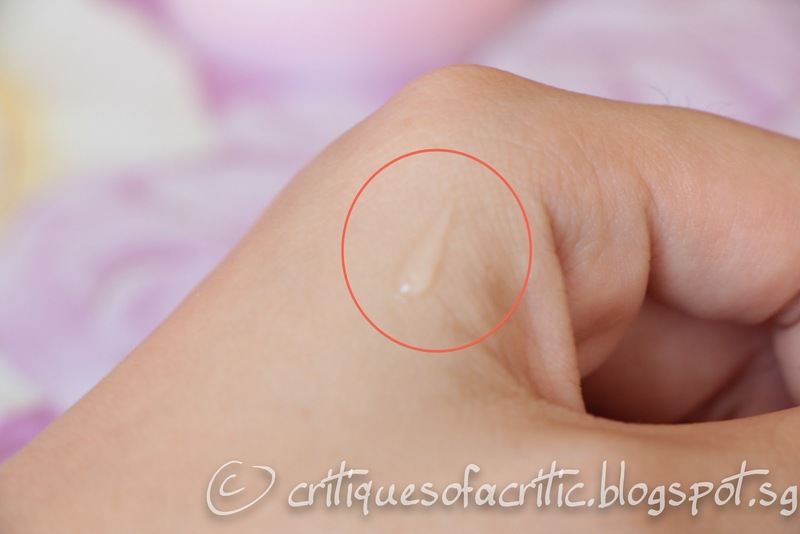 It isn’t very effective for huge pimples or stopping developing ones, but it is quite good with huge red patches of tiny little irritable bumps. It cleared up mine in a little under two days! Do note that it is quite drying, and I’m sure that if you run a Google search you’ll find some comments about it. This is not a fantastic product that would make me squeal my head off I guess, cos’ it is not exactly in a cute packaging or has drastic miraculous results. If you run a Google search again, you’ll notice that there are mixed reviews. Another thing I like is that it absorbs quickly without leaving an oily film or feeling (it’s drying, I guess) and it has a rather refreshing feeling, though I’m afraid that’s because of the high alcohol content. People with sensitive skin should not use this product as it stings. At first I was super happy that it stung because it should mean that it is doing its job and whatnot, but then I realised it had a super high alcohol content, like a hand sanitiser, and drying too, and smells the same, so maybe I can get the same effect with the plain ol’ Dettol hand sanitiser?? Hates: Not a very astounding product as a whole. Conclusion: Find something better (and probably less pricey).